Fifteen years ago today, on September 10, 2001, Michael Jackson fans gathered in New York at Madison Square Garden for the second of two concerts celebrating the King of Pop’s 30 years in show business. The performances were edited into a TV special that aired a few weeks later called Michael Jackson: 30th Anniversary Celebration. It was Michael’s most expensive show to date and the highest priced tickets sold for up to $10,000 including dinner with the singer. The concerts included special guest appearances by some of the biggest names in show business including Marc Anthony, Whitney Houston, Jay-Z, Britney Spears, Liza Minnelli, Usher, Samuel L. Jackson, Gloria Estefan, Yoko Ono and more. Elizabeth Taylor and Marlon Brando were also there in support of their friend. 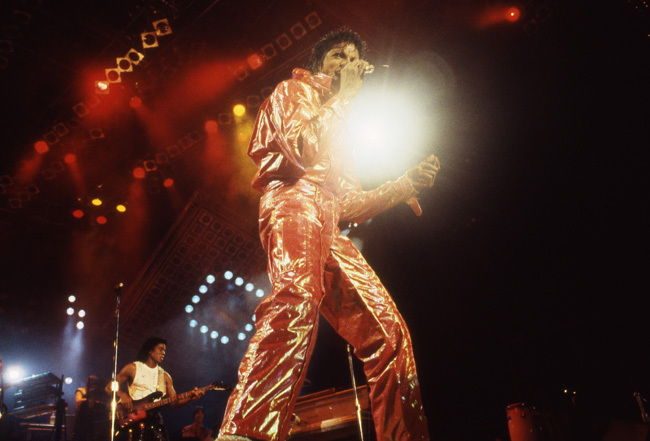 The film about the events following Michael Jackson’s 30th Anniversary Celebration won’t hit theaters for a few more months, but be sure to check out MediaMine’s rare collection of over 10,000 images of the King of Pop and his family from the 1984 Victory tour and personal photos sure to please any Michael Jackson fan.